Oh, my young and stupid years. When I turned 18 and enlisted in the Navy, I was sent to San Diego, CA for “A” school which back in 1981 meant I learned how to type on a teletypewriter and set up ship-shore communications. I was there for five months and during the course of my stay was courted by a sailor who claimed how wealthy he was and told me fantastic stories about his separated British mom and American father. There was a manorial state in England somewhere, a London school he attended, his chummy butler, and his California father who was a very important but angry man. As an anglophile and thespian, I found his stories entertaining to listen to, but I didn’t believe him for a minute. After all, why would he choose to be a lowly E-1 Seaman Recruit? Why not be an officer if he had a proper London education? If he had a proper London education, why was he in the U.S. Navy walking around the dusty path of Balboa Park with me? Randall told me he enlisted to escape his father. When we left the base on leave, he would rent a car and take me to Balboa Park or out to dinner. (Remind me to tell you about the time on Halloween night underneath a full moon, we were robbed at gunpoint.) One afternoon, we strolled downtown San Diego and entered an upscale jewelry store. The display case was long with gems within elaborate settings. He said, “Which one do you like best?” I looked over the sapphires and rubies and pearls and went to the emeralds. There was a cocktail ring that reminded me of hill. 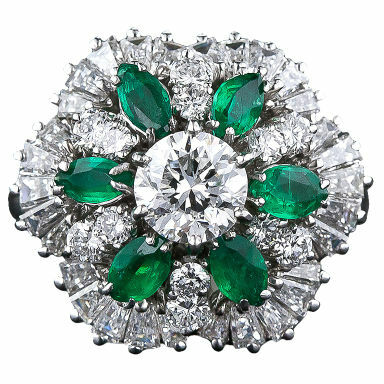 It contained emeralds and diamonds stacked on top of each other, rising high like a mound found on a corner of the Emerald City. “This one,” I answered, breathless. The price tag: $3,500.00. Christmas arrived and Randall collected me at my barracks and we went for a walk, and he presented me a Christmas gift–the emerald cocktail ring. Incredulous! He asked me to marry him and told me he was gay. He had to hide this fact from his father, so he hoped I’d agree to be his cover. I’d have my set of apartments, I’d want for nothing, and we’d be best friends. I responded the way any romantic would say; I wanted to marry for love, not money. Sigh. Well, a few days later, I saw him getting out of a black limousine. He was wearing the insignia of ensign. He was suspiciously an officer! What had his father done? We graduated. I got orders to Scotland. Randall got orders to Rome. The ring? Six months later, drunk at a party, the ring slipped off my finger and disappeared down the toilet. I saw neither Randall or the emerald ring again. Now enters another character, Sally’s mother, Connie Vandenberg, a wealthy woman whose father amassed a fortune mining copper and silver in Arizona. While some women collect spoons and china tea cups, Connie collects unusual weapons, strange artifacts, and paintings. Can you guess what Connie’s favorite jewel is? 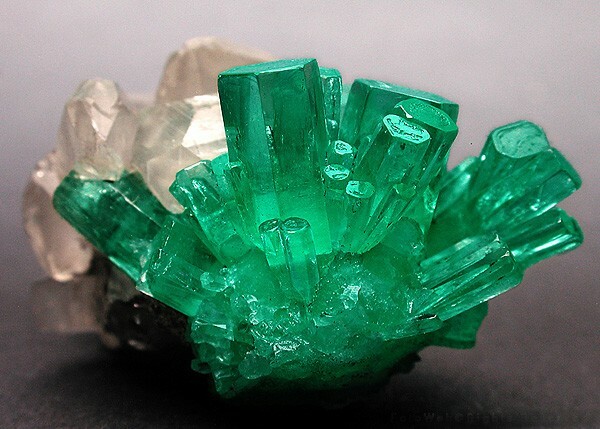 Emeralds, of course. This means I have had to research what the mining industry was like in 1920s and specifically, the fascinating world of Gemology. 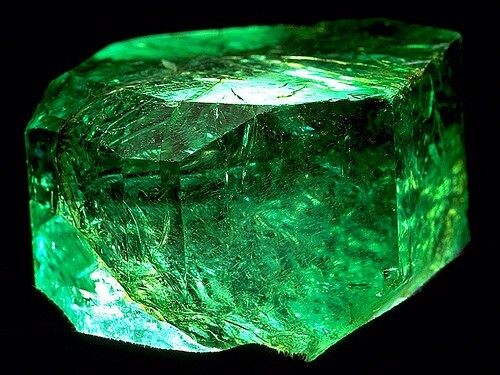 In 1920, Fritz Klein, discovered the “Patricia Emerald” from the Chivor Emerald Mine on short-term lease from the Colombian Government and named it for his daughter. He gave it to the New York Museum of Natural History in 1921 as a gift, and I think I’ll have Connie go and visit it. Why not rub shoulders with Fritz since he knew her father? There’s the fun in creating fiction. Why not? The challenge is making the incredulous seem perfectly normal. For now, I’m having fun exploring the world of emeralds and contemplating whether I should relive my history through Sally or Connie. Should they “lose” their emerald cocktail ring in a most ignoble way or can I fix my past and have them produce it thirty years after the fact? “Truth is stranger than fiction” they say. Truth is, fiction doesn’t have a chance. But can anything be imagined that doesn’t truly exist? Hiya, Abbi! Thanks, in retrospect I wonder how it all happened; I know it’s real, but feels like a dream. Past self and present….I think of the recent Star Treks and love it when Spock talks to himself. Fascinating to say the least! And background music of Hoagie Carmichael’s ‘Stardust’ – oh my! Nice.